On 5th October 2016 a Japanese delegation visited the KWR office in Nieuwegein for a workshop on Smart Metering and ICT use in drinking water systems. The workshop was initiated by Watershare members Japan Water Research Centre (JWRC) and KWR. The Japanese group consisted of researchers and managers of JWRC and three drinking water supply companies from the Kanagawa Prefecture (Kanagawa Prefectural Government, Yokohama Municipal Government and Kawasaki Municipal Government). The workshop was part of a larger tour of the Japanese delegation to Europe (also Thames Water in the UK, Vitens in the Netherlands, and Sensus in Germany were visited). 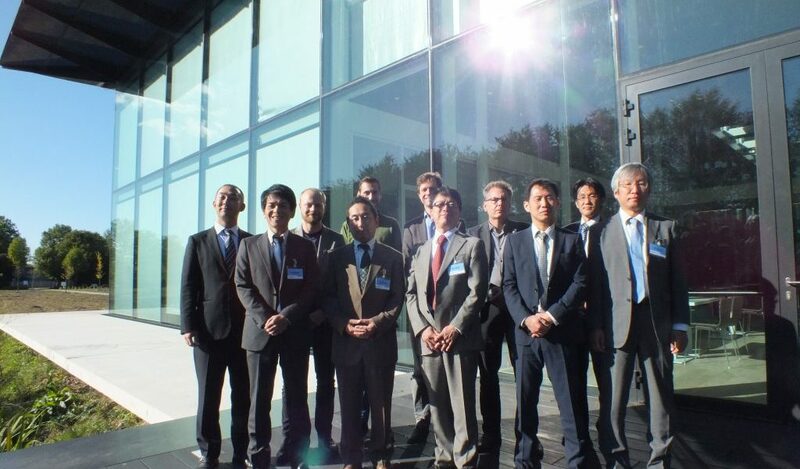 The Japanese drinking water companies are very interested in developments, applications and experiences in Europe on smart metering and ICT use, with the aim to improve ICT application and uptake in the Japanese drinking water supply. During the workshop an overview was given by Peter van Thienen and Joost van Summeren of KWR of the research developments at KWR and the practical applications by the Dutch water companies. The workshop then continued with discussions on the application and development of practical (Watershare) tools (e.g. Network Flow Performance, Water-Use Info, OptiValves, Mains Investment Planning), water quality, installation and use of smart meters, advanced data analysis, data security, methods to reduce leakages, asset management, registration of disruptions (U-STORE), pipe inspection technologies (illustrated by research on the application of robotica in water supply), and investment planning. This workshop proved to be a successful (and quick) way to share knowledge and experiences between Watershare members (and their end users), and we are looking forward to further cooperation within Watershare. The Community of Practice on Future-Proof Water Infrastructure in which JWRC and KWR participate may provide a successful platform for this.